Bonded leather Hacienda-style dining chair available in either side chair or arm chair configurations, with or without cowhide florishes. Our El Dorado bonded leather chair is a beautiful complement to the rich wood finish of the El Dorado table. We call it El Dorado because we believe it is quite special indeed. Comfortable, sturdy and just the right amount of serious. The El Dorado Dining Table Set includes both the side chair and arm chair. Dimensions shown are for the side chair. Arm chair dimensions: are 23”W x 29”D x 47”H. 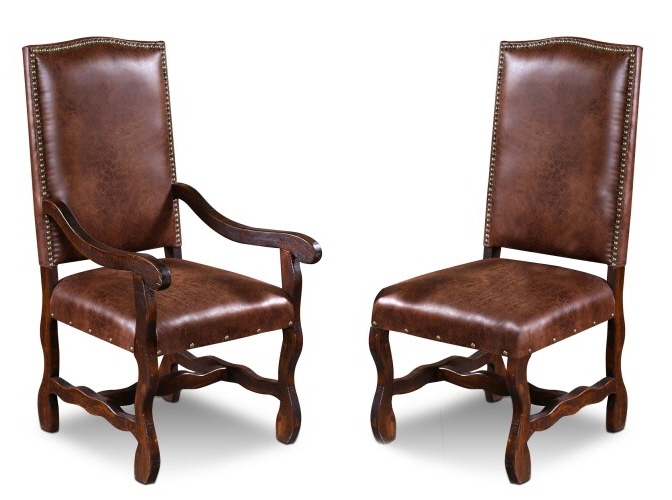 Available in Dark wood finish with brown bonded leather seats and backs, as shown. 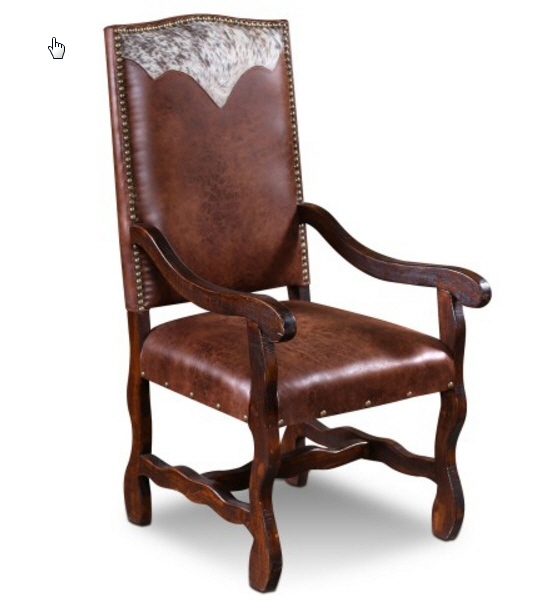 Cowhide insert also available -- for additional texture and panache.